Striker and midfielder join up for John Hughes' team after a successful trial. 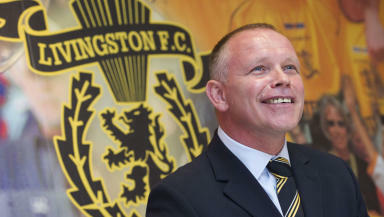 Livingston have added two more faces to their squad for the season ahead. Following a successful trial with the West Lothian side, Frenchmen David Luongo and Anthony Andreu have signed 12 month deals. The pair join up from Swiss Challenge League side Stade Nyonnais. Luongo, 24, plays as a centre forward while 23-year-old Andreu is an attacking central midfielder. The duo join former Hearts wide midfielder Jordan Morton at Livingston. Manager John Hughes said he was “absolutely delighted” to have secured the new faces, who came to his attention through director football Joihn Collins’ connections in France. Hughes said: “We invited them over to have a look and see if they could add to what we have here already, which is shaping up to be quite special.